Just £1295, down from £1595. The classic among RECARO seats: for sophisticated demands on ergonomic yet comfortable seating. With its extensive standard fittings and numerous setting options, the RECARO Ergomed E has everything you require for comfortable journeys. The RECARO Ergomed range is the world's first retrofit family of seats with optional universal side airbag - for even more safety. The unique RECARO climate package: integrated heating in seat cushion and backrest relaxes the muscles on cold days. 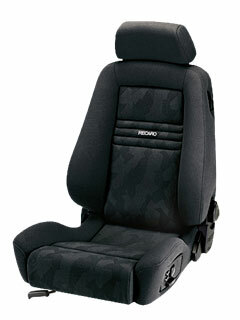 The RECARO Vent® system guarantees pleasantly dry sitting conditions even in hot weather (Option). Options at additional cost: Armrest, Side Air Bag, RECARO climate package (RECARO Vent® system and heating).